Sporturf is a good choice for beginners and experienced players. Built to last, it's the surface that best simulates a Macadam court with cushioning. 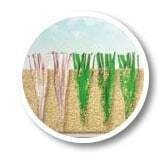 Sporturf ’s consistent, even, medium pace allows for stroke play. It has been developed and refined over several years to provide clients with an alternative surface to the traditional sand-filled sports carpets such as Tenniturf. 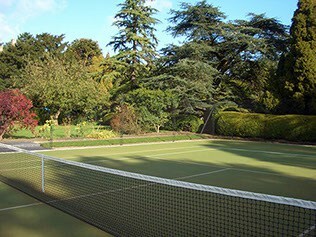 If you are going to use the court intensively or you want to minimise ongoing maintenance costs, Sporturf offers several advantages; a polyethylene yarn which is very hard wearing, it has sand to just below the surface allowing play even in rain. Sporturf is a truly multi-purpose surface that is especially suited to tennis, netball and cricket and also good for basketball, hockey and five-a-side football. 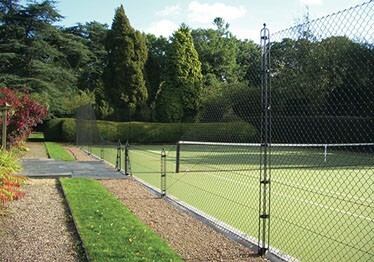 Play takes place on the fibre of the product, so it is ideal for tennis court and multi-purpose area upgrades. Its even, medium pace makes Sporturf good for coaching, family tennis and competitions. Play lines laid into the carpet remain prominent throughout the life of the surface. 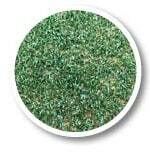 Sporturf is available in green and terracotta finishes. Drawbacks: The player touches sand and the surface does not dry very quickly. After an initial settling period, Sporturf requires a lower level of maintenance compared to the traditional sand-filled sports carpet. The surface should be kept free of leaves and other debris, it should be swept on an regular basis to maintain the sand within the surface at consistent levels. Moss-killing operations should be undertaken four times per year to maintain the optimum playing characteristics of a Sporturf surface. We provide an ongoing maintenance and after care service for Sporturf.